BHL is thrilled to announce that construction has already begun on our brand new brick-and-mortar library that will house a physical copy of each of the over 159,000 volumes currently digitized and, until now, only available online. Demand for physical access to the digitized copies has been steadily growing over the years, so in an effort to reach users without access to the Internet, we’ve begun the painstaking process of transcription. We realize that much of the value of the BHL collection is derived from the sense of history that one receives while researching these texts–many 300 and 400 years old. In order to preserve that sense, we are replicating the publishing processes and techniques that were common during and before the peak of the industrial revolution. It’s not cheap and it’s far from easy, but we think you’ll understand why we have gone to all the trouble as you enter the lobby of our new building. The card catalog alone sprawls an impressive half acre. 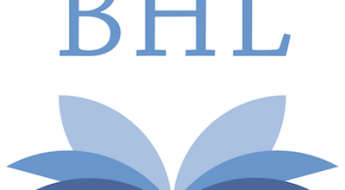 Librarians will be on hand to begin issuing BHL library cards for lending as early as next Fall. See You Soon! Return of the Dodo?! BHL joins the larger scientific community in expressing shock, excitement! blog. Thanks for the info. Finally! What a relief from all those damn electrons. Hi, where can we visit the library? Your article never said. I heard there were job openings for a translator? I thought with such perfect scenery it must be Narnia, but I've already popped through my owners cupboard for a quick squizz with no luck. I am looking forward to being able to check out a copy of Yerkes' Dancing Mice that I can read in the bathtub. I swear, those Nookie Readers should come with a warning. I heard a rumour that you will also have specially trained, multilingual parrots on hand that will read from digitized volumes upon request. I was wondering which species you are going to use for this? Book of the Week: A Call to Garden!